Some walking on a lane at the start for about a mile. Generally good paths although the area around the summit of Waun Fach can be very boggy after rain. 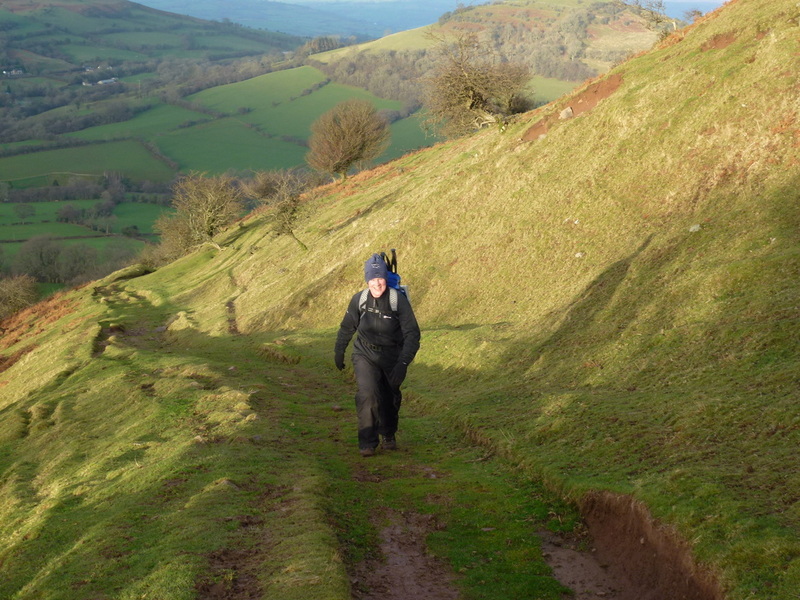 The path between Pen y Manllwyn and Y Grib is intermittent. 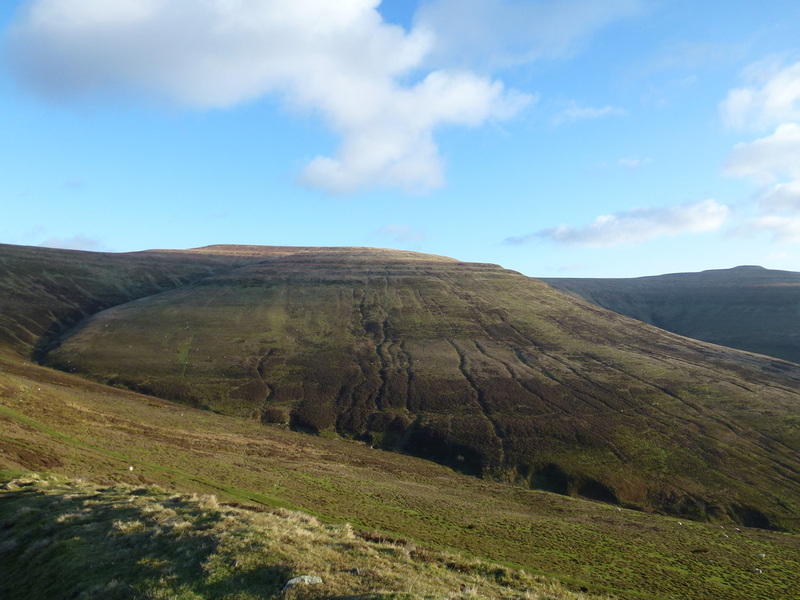 Waun Fach is the highest mountain in the Black Mountains in South Eastern Wales. 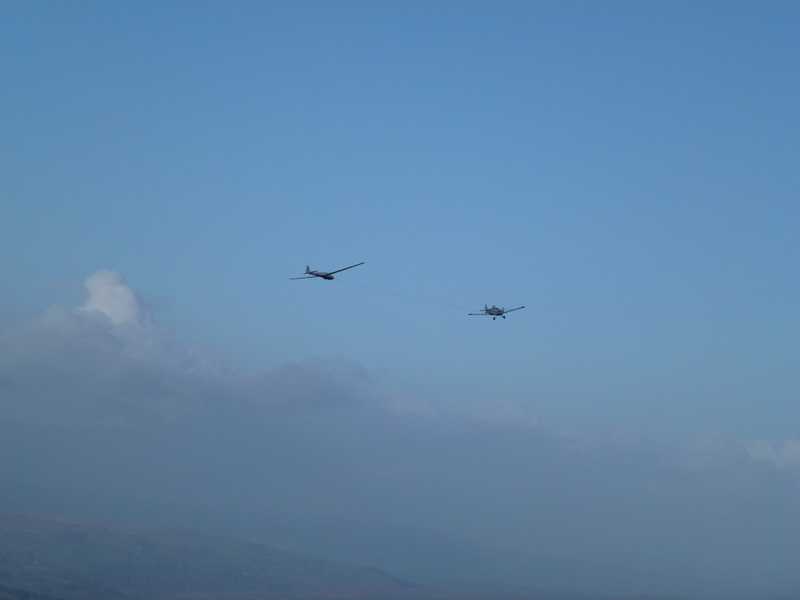 It is one of the three Marilyns over 600m that make up the range, the others being Black Mountain and Mynydd Troed. 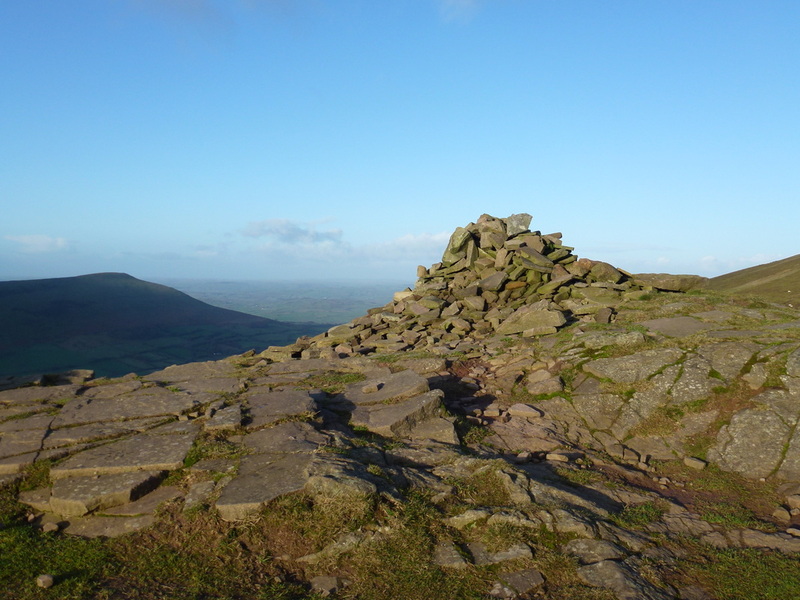 After Pen y Fan, it is the second highest mountain in mainland Britain south of Snowdonia. 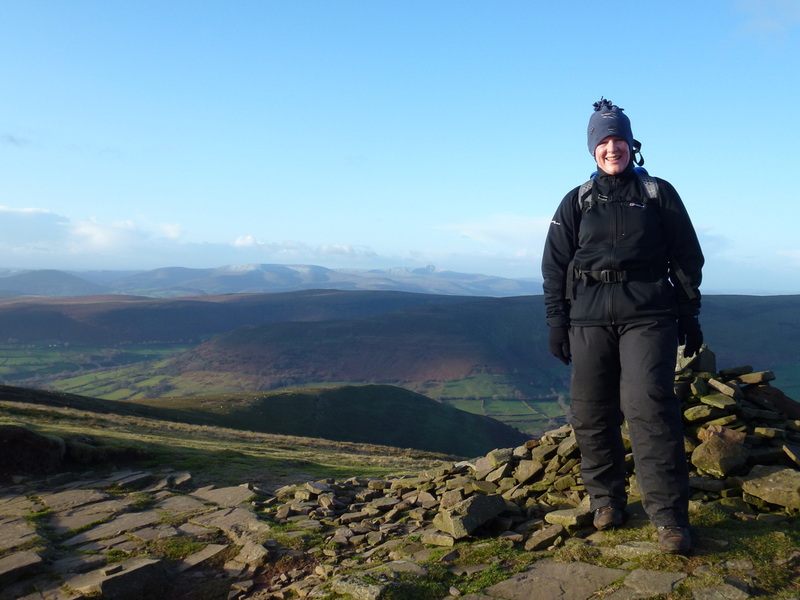 We are very lucky to live not that far from here therefore have done this walk many times - it is a beautiful area and on any given day you will not see many people as they are normally out on the fleshpots of Pen Y Fan etc. 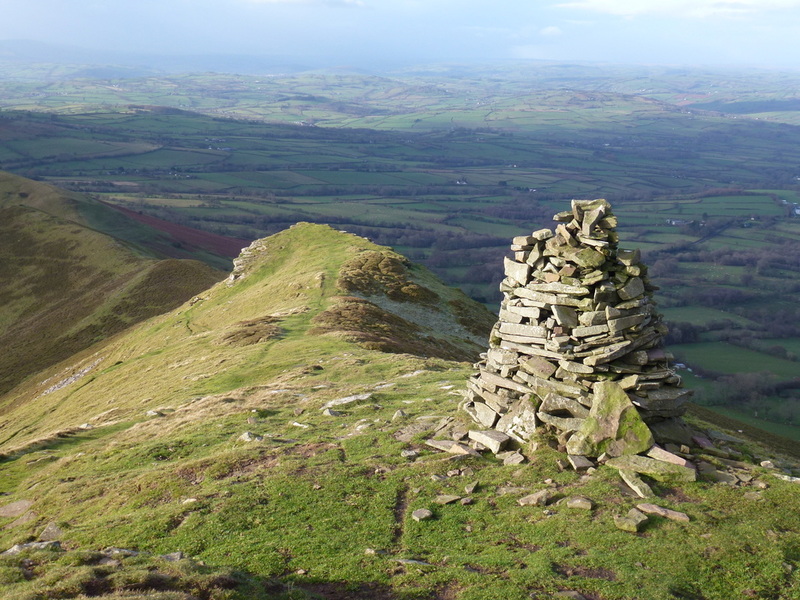 There are many good walks around this area and for instance there is a superb horseshoe starting in Crickhowell which is basically and out and back to Waun Fach on 2 different ridges covering 17 odd miles - the day we did it the visibility was poor therefore we will have to do it again soon in order to share it on the site. 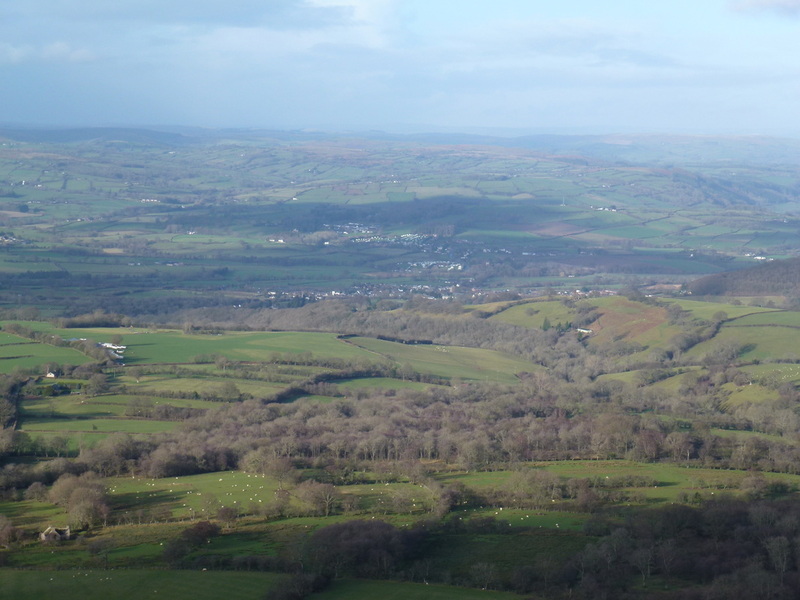 Additionally, Waun Fach can be reached via Hay on Wye from the Car Park below Hay Bluff, taking in Twmpa (Lord Hereford's Knob) also. 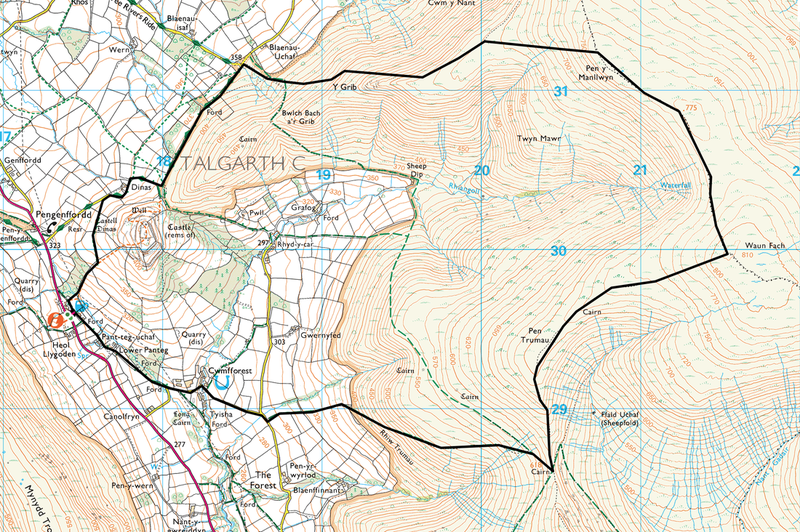 Anyway back to this one - the walk starts in the village of Pengenffordd at the pub. The pub has a large car park which can be used by walkers for parking although this, like anything may have changed since we did the walk. The path, sometimes wet, is behind the pub and passes below the campsite and bunkhouse and heads towards Cwmfforest Equestrian Centre, passing this and continuing along the lane reaching a footpath on the left signed for Rhiw Trumau. 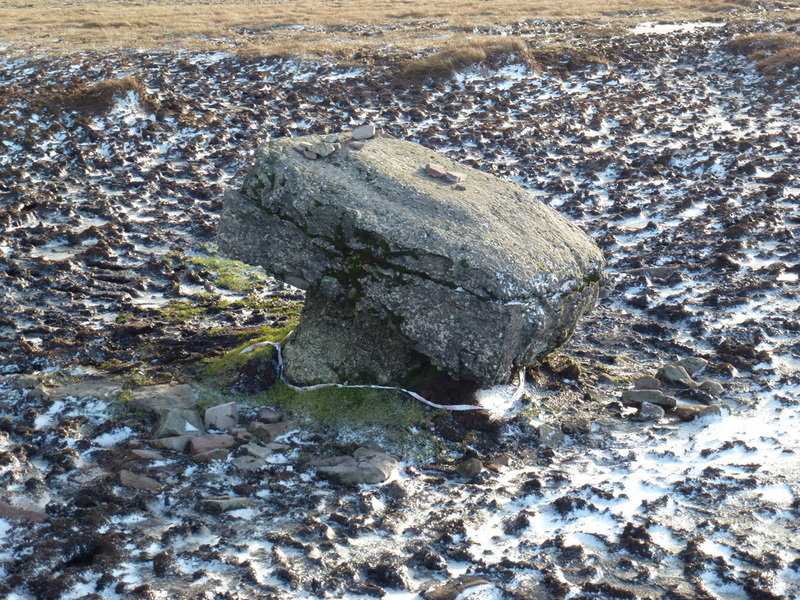 There then begins a gradual and sometimes steep ascent up to the col between Pen Trumau and Mynydd Llysiau which is marked by a large cairn. 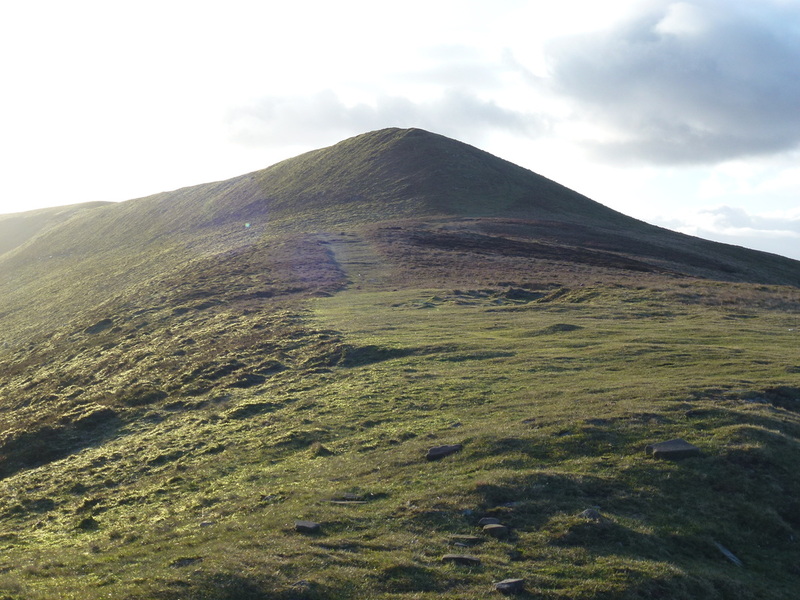 From here the route heads to the left on a clear path to climb to the summit on Pen Trumau and then north east to reach the domed summit of Waun Fach which is marked by the remains of the Trig Point that once stood here. 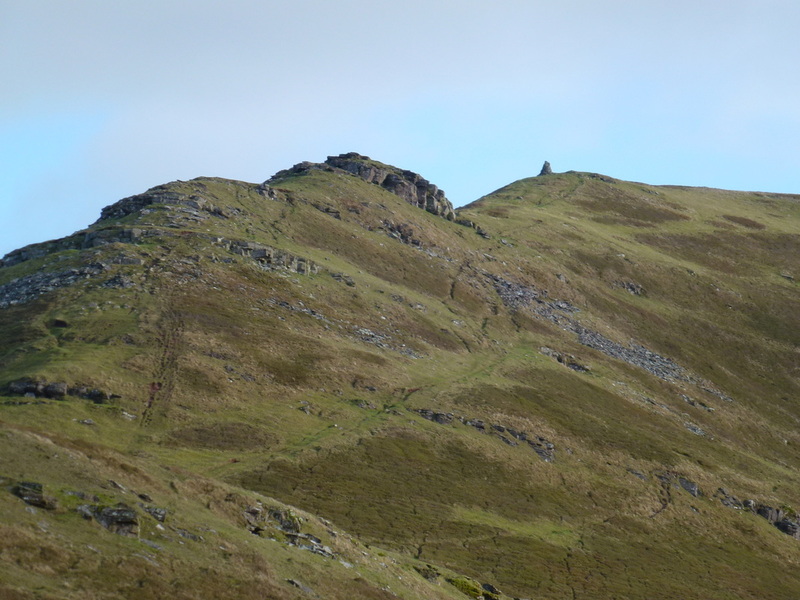 Leaving the summit, the path heads north along the ridge to reach Pen y Manllwyn and in good visibility the impressive ridge of Y Grib can be seen down to the left. At this point it is simply a case of picking your way down the mountainside to reach the obvious path below. From the cairn on Y Grib there then begins a superb descent down the ridge to reach either the lane or you may head straight on to climb up to the remains of Castell Dinas, an Iron Age Hillfort - what remains now are crumbling walls mainly covered with earth and the outlines of ditches and ramparts from the original Iron Age fortifications. From the gate the route passes along a quiet lane which you can stay on and then walk back along the A479 to the pub or a footpath on the left takes you back over fields to the start. 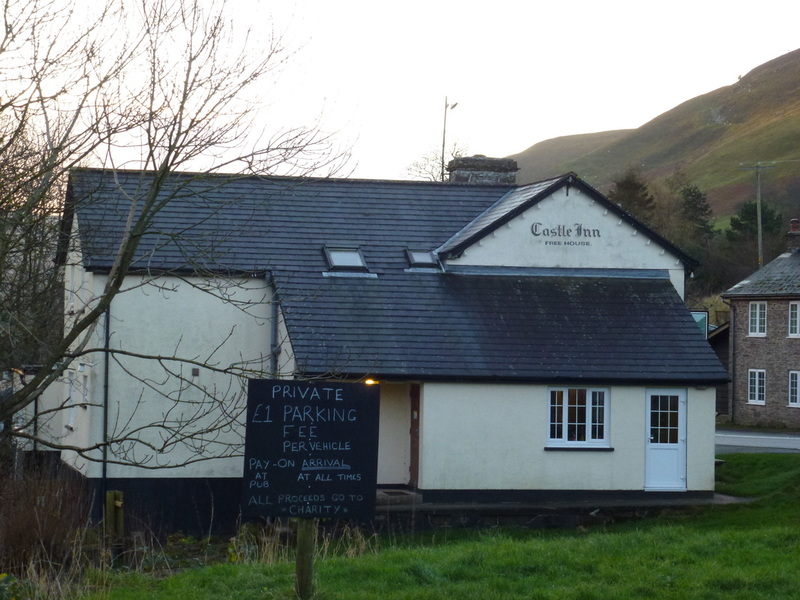 After all that either avail yourself of The Dragon's Back or take a short drive to The Farmers Arms in Cwmdu. 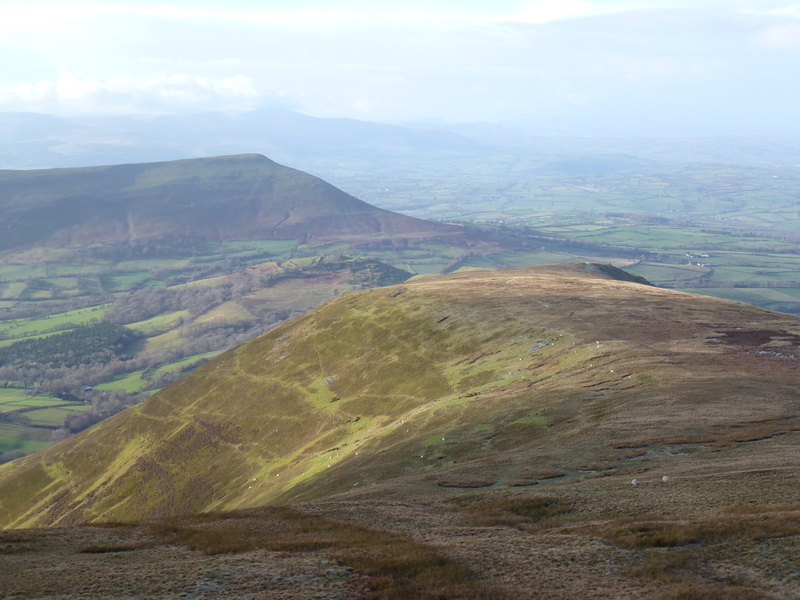 The snow topped peak of Pen y Fan can be just about seen in the central distance. Sod that for a game of soldiers - when he lets go you have got no engine. What's all that about? ?